Buying a traditional mattress for guest bed purposes can be a costly investment. Decent-quality mattresses often cost over a thousand dollars. Air mattresses, on the other hand, are super affordable - to the point where you can buy more than one and have the total cost still not reach the overall price of a traditional bed! That is why an air mattress like this SoundAsleep is an awesome alternative to a traditional mattress . A very popular choice of homeowners today is this SoundAsleep Dream Series Air Mattress. This air bed costs about $120 - a fraction of the price of a high-quality memory foam mattress. Keep reading for our detailed review of the SoundAsleep Dream Series Air Mattress. 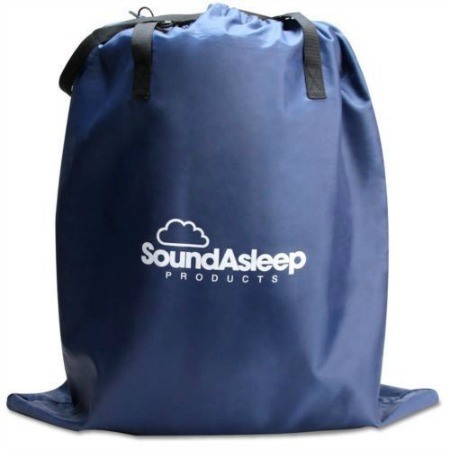 The SoundAsleep Dream Series Air Mattress comes packaged in a large, sturdy box, which means that it is safe from any potential shipping damage. Upon unpacking, the airbed is very easy to set up. 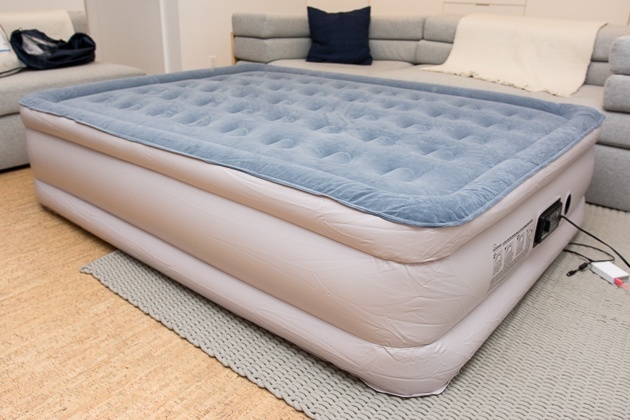 There is an internal pump that allows you to inflate the mattress quickly, leading to an almost instant installation. This bed stays firm and full all throughout the night, even when it is under a lot of body weight. 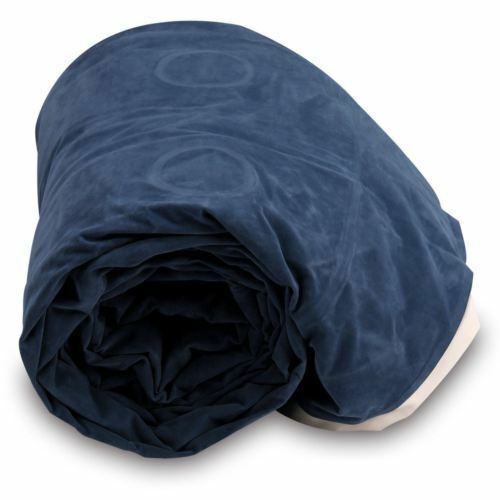 In fact, SoundAsleep Dream Series Air Mattress is durable, sturdy, and safe to sleep on. These three qualities make this air mattress an ideal alternative to a regular bed, and it is also suitable for guests. SoundAsleep Dream Series Air Mattress is extremely comfortable and soothing to sleep on since you get a full night's rest and wake up feeling refreshed. You can even put your sheets over this mattress bed and personalize it to complement your bedroom's interior decor. Anyone who needs a replacement or extra mattress in their home will benefit from purchasing the SoundAsleep Dream Series Air Mattress. This mattress is a great addition to any home because it can replace a traditional bed or serve as a guest bed. In addition, this bed is also ideal for travelers, because you can bring your own SoundAsleep Dream Series Air Mattress with you! Just deflate it, fold it up, and carry it with you. This purchase is perfect for people who want to save money. This mattress is extremely comfortable at a very low price. SoundAsleep Dream Series Air Mattress utilizes a patented 1-click internal pump for a quick and easy inflation and deflation process. Using this pump, it takes approximately 4 minutes for the air mattress to inflate to its full size. This mattress is made with ComfortCoil technology which is an industry-leading air mattress design that is specific to SoundAsleep Dream Series Air Mattress. The ComfortCoil system includes 40 internal air coils that guarantee added stability, support, and durability. Furthermore, these air coils help the mattress stay flat, stable, and firm while you sleep. The air mattress also has a deluxe release valve and pillow top airflow chambers, so the bed consistently stays fresh and lasts you a long time. 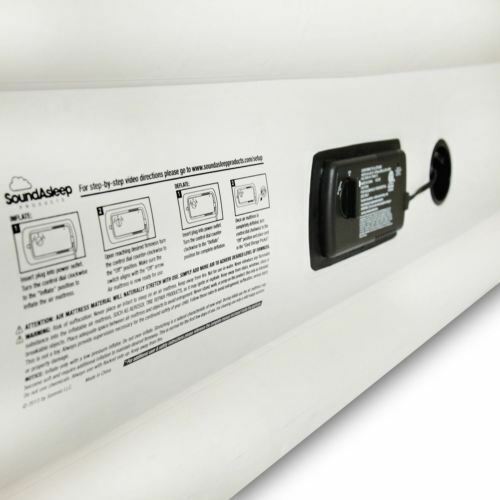 Another unique feature included with SoundAsleep Dream Series Air Mattress is its “Sure-Grip” bottom, which keeps the mattress from sliding and slipping when being used. This friction will ensure that your mattress stays in place no matter what. 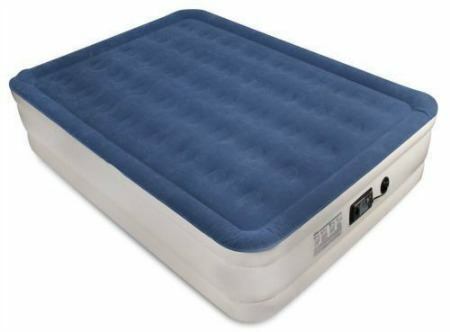 The SoundAsleep Dream Series Air Mattress is a queen sized bed that has a blue top and a beige body, which isn't a conventional design amongst air beds in the mattress industry. When inflated, this air mattress reaches dimensions of 78 inches x 58 inches x 19 inches, making its size perfect for people of varying weights and heights. SoundAsleep Dream Series Air Mattress mattress also has a raised “double-height” quality with a dual chamber construction that ensures the air bed reaches its maximum height level for increased user comfort. This airbed has an extra thick waterproof top that ensures it won’t be ruined by spillage, weather, or other occurrences involving liquids. The thick top also provides extra comfort and warmth that helps to make you fall asleep. SoundAsleep Dream Series Air Mattress is also made of a multilayer, puncture-resistant vinyl material that will keep the mattress from ripping, tearing, or getting caught on sharp objects. 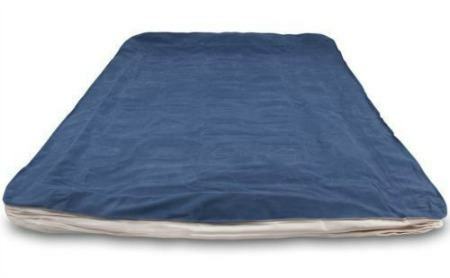 The bed comes with a storage and travel bag that is made from durable nylon, which comes in handy when you need to store SoundAsleep Dream Series Air Mattress away. SoundAsleep Dream Series Air Mattress is convenient because it inflates quickly and can be used for guests or personal purposes. If any family member or friend comes by unexpectedly, you’ll have a place for them to stay. You’ll also have extra room for sleepovers or social gatherings. You can also travel with this mattress, which is not something you can say for a lot of traditional mattress models that require more than three people to carry it around. All you have to do to carry SoundAsleep Dream Series Air Mattress around is let it deflate, fold it, put it in its travel case, and go! This air bed is incredibly affordable, making it a convenient alternative for those on a budget but don’t want to have to sacrifice having a restful night’s sleep. This is one of the most popular mattresses sold on Amazon today. Most verified owners love that this air bed can easily be stored, so you don't have to stress out about finding a place to store it away. For those who live in apartments, SoundAsleep Dream Series Air Mattress won't take up any extra space that you may need. You can use traditional sheets and covers over this mattress. You can also lay it on the floor or a bed frame. You can dress this mattress in a foam topper for extra warmth or comfort. SoundAsleep is a highly communicative brand, so if you ever have any issues with your mattress, call them, and they will help! SoundAsleep Dream Series Air Mattress is is a cost effective choice for anyone who needs a mattress or guest bed but doesn't want to pay the price of a memory foam mattress. The best place to buy a SoundAsleep Dream Series Air Mattress is Amazon since it provides free shipping along with other discount deals. I highly recommend buying SoundAsleep Dream Series Air Mattress. It offers the best comfort and durability for the lowest price possible.